Things to do during a stopover. Are we there yet? 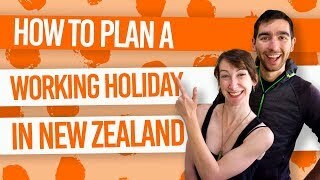 A stopover, or layover, is usually that annoying reminder that you are only about halfway to starting your gap year in New Zealand. However, it certainly doesn’t have to be if you prepare some awesome things to do during a stopover! Whether you need to kill a couple of hours or 15 hours, we have listed some things to do to over the entire spectrum. Spend some time stretching your legs, beating the jet lag and go shopping. 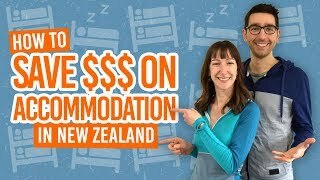 We’ve even included the most popular stopovers on the way to New Zealand and what there is to do there. So pack your carry-on with your stopover in mind so you can really make the most of your time in during your stopover. If you can’t be bothered reading our in-depth tips and ideas below that we have slaved over to bring you, just read these quick tips for things to do during a stopover! If you arrive at your stopover during your final destination’s nighttime hours, then take advantage of being able to stretch out and sleep in the airport in a gate that has a lot of space. Better yet, book a bed in a nearby hostel or hotel for a better sleep (if you have more than eight hours). In order to beat jet lag faster, it’s important to get your body used to a new sleeping pattern. If you have a couple of hours to kill during your stopover, consider trying some local cuisine in the airport. Let’s be honest, you’re in-flight meal wasn’t the best so treat your taste buds while you’re in your stopover airport. Airports often have a fantastic range of cafes and restaurants where you can pick up some gourmet meals, as well as wine-tasting. That being said, if you’re trying to save your money as a budgeting backpacker, then just scour for the free food samples in various gift shops. That would be a good start to the 11 Backpacker Tips to Save Money on Food. That’s if your stopover is significantly long… If you have eight hours or longer in your stopover destination, do a bit of exploring! This might require a bit of planning, as you will need to find out how far away is the local city? How long does it take to get there? What will you have time to see? Additionally, check if you need a visa to leave the airport. In most cases, you will be allowed to roam with a “transit without visa”, but it’s always good to check this as visa requirements are ever changing. Dubai – If you have four to eight hours to kill in Dubai, take a 15-minute taxi to Burj Khalifa, the world’s tallest building, and head up to the observation deck (booking might be required). Next door is the Dubai Mall which is always worth checking out. Los Angeles – Take a 10-minute taxi ride to the Manhatten Beach Pier – a great place to stretch your legs. If you have more time, take a 30-minute ride from LAX to the Venice Boardwalk to see one of Califonia’s prettiest beaches and check out the bohemian scene. Hong Kong – Take the Ngong Ping Cable Car to the Big Buddha, which takes about 25 minutes, where you’ll get awesome views of the South China Sea and the largest outdoor seated Buddha statue in the world. Bangkok – The least stressful option would be to book a transit tour from the airport to see some of the highlights of the city ranging from four hours to 12 hours. Shanghai – Take the Subway Line 2 from the Maglev stop to the Oriental Pearl Tower and go up it to get some sensational views of the city both night an day. Singapore – Take a free city tour from the airport if you have more than four hours to spare. Easy! If airports are good for anything, it’s shopping (and, you know, flights). You’re often spoiled for choice when it comes to shopping in airports and did we mention: duty free! Now, if you are en-route to New Zealand to start your trip, we recommend only “window shopping” and spraying yourself with free samples of perfume. The last thing you need is to carry more things around New Zealand with you. But walking around the shops is a good way to get the circulation running through your legs again after a long flight. If you are on the way home, however, now is a great time to pick up a few gifts for friends and family back home and pick up an obligatory Toblerone. Some airports are like mini cities! Not only are they packed with eateries and shops, they often have entertainment centres too like their own museums, ice rinks, spas and more! Finding these entertainment centres can be difficult when you arrive at a random gate, so a check your stopover airport’s website before you arrive to scout out the things to do there. It sure beats watching people getting onto planes all day. Check out the website of your stopover airport to see what’s available and where. A pack of playing cards, a book, research for that university paper that you were planning on doing last minute on the way back from New Zealand… Pack things to entertain you in your carry-on for when you arrive in your stopover destination. If you are starting a blog, now is a good time to connect to the airport WiFi and start blogging your travels. Practice your photography before you hit New Zealand. 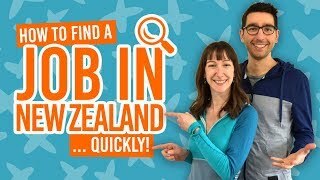 Start working on your New Zealand CV if you plan to work in New Zealand or research what to expect when you arrive in New Zealand… The possibilities are endless if you do a bit of planning before you travel. … Then you’ll totally dig these articles!